Since Bookwi.se now has more than 400 book reviews, I felt it was time to start making the back catalogue a bit more useful. Over the next couple weeks I am going to add a series of topical books review summaries that highlight particular book subject areas. This will be a bit subjective and I plan to continually update these posts. At some point I will add a page that lists all of the subject areas to make it easier to browse. I am a topical reader. I tend to read at least 4 or 5 books in an area over a six month period before moving onto another areas. I want to make this useful for people, so if anyone has a suggestion about renaming the category (currently a very boring ‘Book Review Topical Index’) or suggestions for navigation I am very open. I think that the Holy Spirit is quite neglected, both in my own theology and in general among most Christians. Some Christians seem to have replaced the Holy Spirit with the Holy Scripture as the third member of the trinity. The book started out with one of the best theologies of the Trinity that I have ever read. 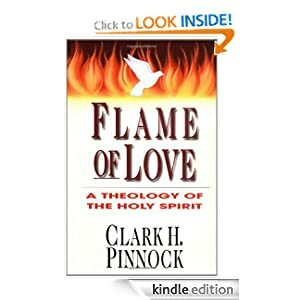 If you read one book on the Holy Spirit, this should be it. 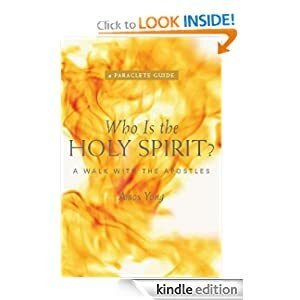 Yong uses the paralellism of the Gospel of Luke and the Acts of the Apostles to look at how the Holy Spirit empowers Christians to work in the world. What is most interesting is the use of Luke and Acts to compare the work of Jesus Christ and the Holy Spirit. The biggest problem of the book is that it is a little too wide ranging. It it were a bit more focused I think the argument would have been a bit better. There are times when Yong spends so much time talking about the work that the Holy Spirit is doing through the apostles that the Holy Spirit almost drops out of the picture. That being said, it is well worth reading. 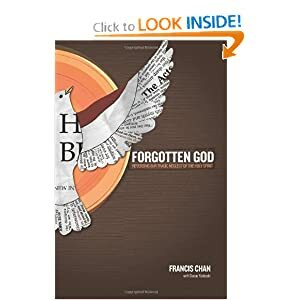 Chan is not attempting to write a book of theology of the Holy Spirit or the Trinity, he is trying to tell us about the Holy Spirit and in a very pastoral way lead us into a right relationship with the Holy Spirit.